Happy first official day of Fall! One of the things I love about living in Colorado is that there’s a definite difference between the seasons; on the flip side, that definite difference always makes me a little sick, so I’m planning to spend this weekend hanging out in my pajamas, hopefully getting a lot of knitting done. I got a little sidetracked by nail polish this week and got nothing done; and by nothing, I mean I only knit about 40 yds of yarn. Between two projects. Oops. But my nails look awesome! You all know I’m a sucker for stranded colorwork, and this hat is no exception. 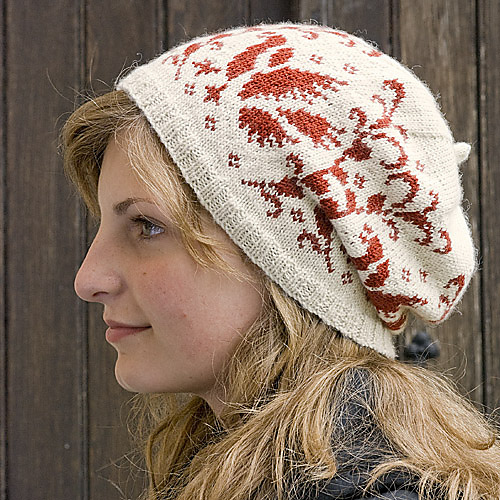 I have no idea what the motifs on the Uppländsk Fågelkrans hat ($5) are, but I love them. 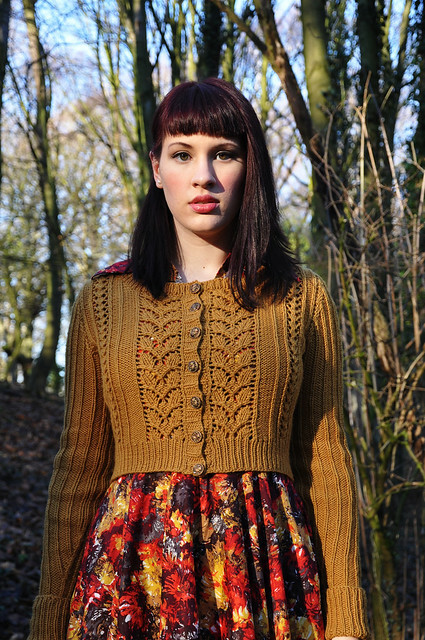 I know a lot of my friends love the Miette Cardigan by Andi Satterlund. I do too, but I’m not sure about cropped cardigans on my body. Andi’s newest pattern Agatha ($6.50) is another cropped cardigan, but I think it would be pretty easy to add some length to this sweater. 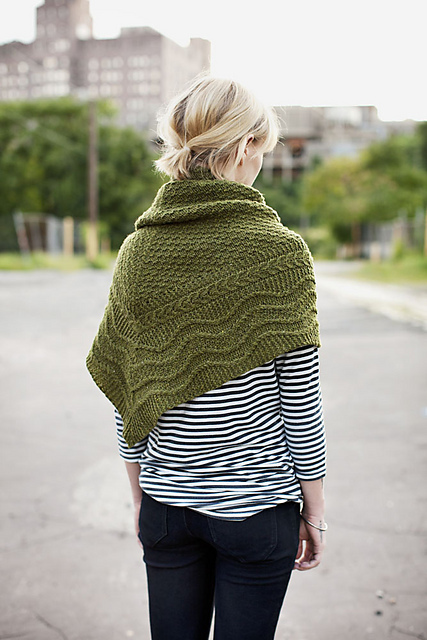 Jared Flood over at Brooklyn Tweed has another knitting eBook available, simply titled Fall. This time he teams up with Leila Raabe and Michele Wang to create a collection of crisp fall knits. My faves are Ashby and Peabody. Derya at Laylock is at it again, this time with the stunning Cornflower Garden Hat (£3). 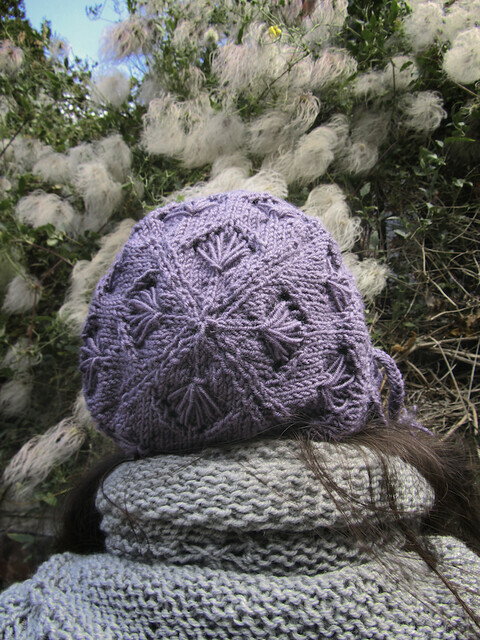 As always, Derya’s attention to detail is breathtaking, mirroring the cornflower stitch in the tassels and making this a super customizable hat with the drawstring band (or, as she points out, a little carry-all bag!). Apparently I’m a little obsessed with motorcycle-jacket styling, and Cirilia Rose and the Berroco team are on top of that. Andre is a FREE jacket pattern. Just look at those lapels! And the stitch definition! And structure! I’m swooning, people. Swooning! ← What, this old thing? BK’s Wool People is amazing, the designs are just spectacular. I really want to hate him for being an empire too! Nice finds! He does have an amazing and well-developed aesthetic that is sort of jealousy inducing. I can’t even make my store-bought wardrobe have any sort of cohesiveness!